Amongst the hundreds of tiny images that float down in the epiphanic final third of the current Bodies In Flight performance I chanced upon this one. To anyone living in the vicinity of Mary St., Balsall Heath, up until a couple of years ago he will be recognisable as the ghost-like shaman who occupied the doorway of the barber’s shop on Edgbaston St. He is The Smoking Man. And he’ll be with me in my pocket tonight for Model Love. 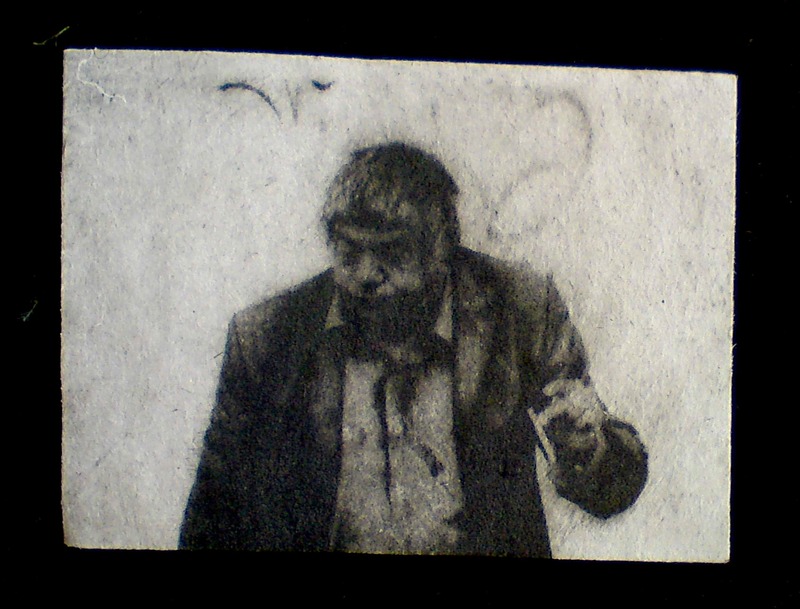 This likeness was captured by Ed Dimsdale before The Smoking Man disappeared from the streets, passing into another, hopefully better place not long after this picture was taken. its lustre, its hues…. its dusks and its dawns…. we are the inconstant, fragmentary things…. give everything to life, unstinting….